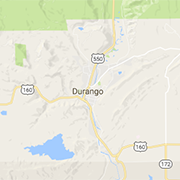 If you're 21 or older, search recreational marijuana dispensaries in the Durango area for a variety of unique strands, edibles, concentrates and accessories for recreational use. Santé is Durango's premier recreational marijuana dispensary located downtown Durango, CO, offering Colorado's finest selection of strains. The Greenery Dispensary in Durango combines professionalism, education and honesty with the highest quality marijuana for a positive cannabis experience.